Drive more leads. Convert them to sales. Optimize your marketing automation. 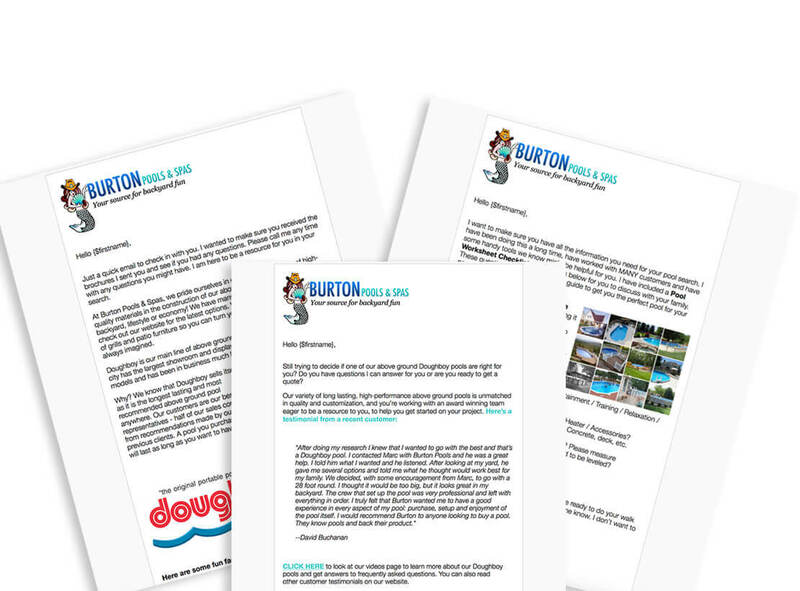 Give your customers something to look forward to with this set of professionally written educational emails, letting them know what dates and times you’ll be in their yard working on their pool and what they can expect during each stage of the pool construction process. We want to help make the pool construction process as simple and as hassle free for your customers. With our “What to Expect During Pool Construction” Reputation Management Emails, you can easily keep your customers in the loop with the days and times you’ll be at their house working on their pool. These automated educational emails will also include plenty of information regarding the different stages of the pool construction process so your customers understand what is happening during each stage. This series of emails also comes with a “How Did We Do?” survey at each stage of the construction process to provide an opportunity to deal with both the positive and negative feedback directly with your customer in real time before having to manage any potential negative feedback posted publicly online. Real-Time Lead Notification. Notify salespeople to act at just the right time. Work Smarter. Free up valuable resources and save time. Cost Effective. Low cost association with sending multiple messages over time. Our “What to Expect During Pool Construction” Reputation Management Emails work best for any pool construction company looking for simple and convenient way to keep their clients in the know throughout the pool construction process.